Its name is derived from the Labradorite peninsula in Canada, where the stone was first found in 1770. Labradorite is the gemstone of magic, and it awakens in those who carry or wear it the awareness of one’s innate magical powers. The term ‘magic’ refers to the mental and intuitive abilities which include but are not limited to clairvoyance, telepathy, astral travel, prophecy, psychic reading, past-life recall, communication with higher guides and spirits, and coincidence control. ‘Coincidence control’ is the practice of increasing the observed degree of synchronicity and serendipity in one’s life. It is an interdimensional stone, emanating an energy which helps one to consciously pierce the veil between our waking world and the many domains and planes of inner awareness. It is a gemstone of adventure, for it offers one the chance to embark upon a multitude of voyages of self-discovery. It is said that a tyrant wants power over others and a true magician desire power only over himself or herself. In wearing or working with Labradorite, one disconnects from any tendencies to attempt to control others, while one bonds deeply with the knowledge that self-mastery is the path of true fulfilment. Labradorite is a powerful Wind element stone used for magic and divination. It activates the inner eye, allowing one to more clearly envision the past, future and distant places. It is a stone of strength and the unity behind apparent duality. It can help one see and understand that apparent polarities are, in fact, a single continuum of energy that expresses itself in extremes. It assists one in recognizing the interconnectedness of all apparent duality and the unity of creation that underlines paradox. Labradorite creates a force field throughout the aura, protecting and strengthening the energies within and preventing others from ‘tapping in’ to your personal energy and draining you. The subtle workings of our inner selves and higher guides are often terms ‘magic’ in our culture. The wonderful synchronicities and opportunities that arise when we are in harmony with all our aspects create a sense of mystery and wonder and build a resonance between our mundane and spiritual aspects, enabling our total energy to work in harmony with our Divine purpose. When we are in line with our Divine purpose, our destiny unfolds before us. Labradorite assists one in moving between realities and connecting with unseen realms. It enhances psychic abilities and increases one’s capacity to visualize and perceive with the inner eye. Labradorite can aid in uncovering unconscious and subconscious belief patterns that generate unpleasant emotional states. It can help one to become clearly aware of the source beliefs, self-talk and egoic influence on one’s habitual emotional states. 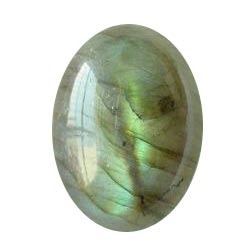 Labradorite can help reveal the nature of ‘mystery illness’. It can show the patterns that have created disease and can amplify one’s healing thoughts and prayers.